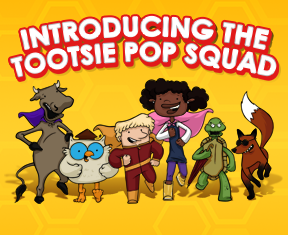 Meet the new Tootsie Pop Squad! Visit their home page for more information and for interactive fun! Follow the Tootsie Pop Squad on all of their adventures.